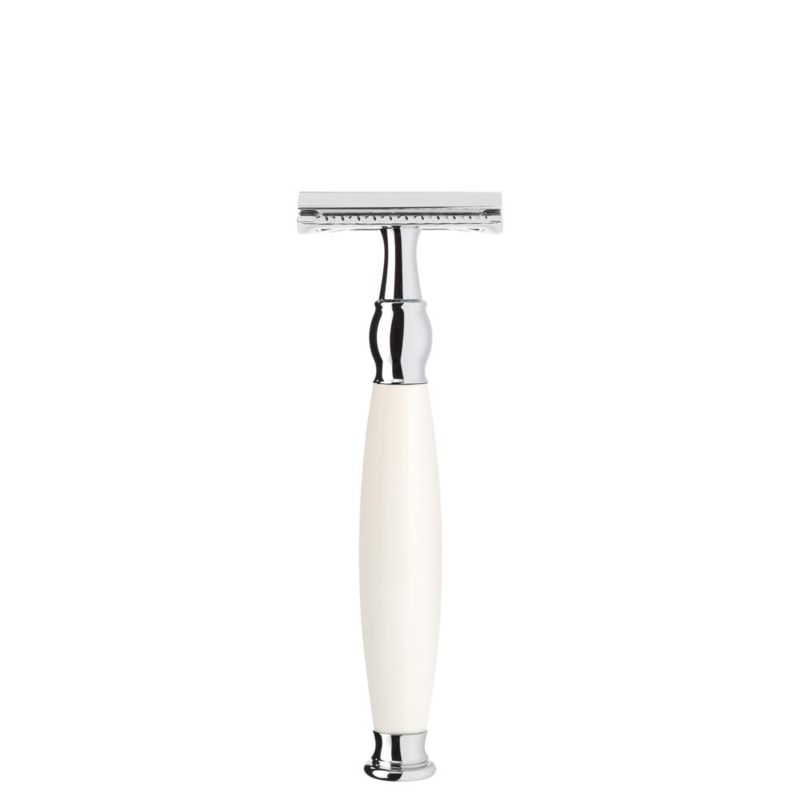 Muhle sophist Horn Safety Razor Is a classy product, It Is 125 mm making It the longest of Muhle razors. 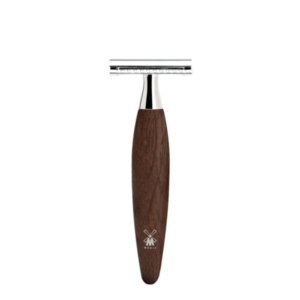 Also 76 g makes It heavier than other product’s although this gives a steadiness to the shave. The material being genuine buffalo horn Is quite brilliant. Also a plated chrome head and base make this a high quality material product. The bigger handed male will benefit from this model certainly. The head of this fine razor takes double edged blades. We sell 8 different types on the site. See the link for the Muhle home brand, a firm strong and sharp steel. 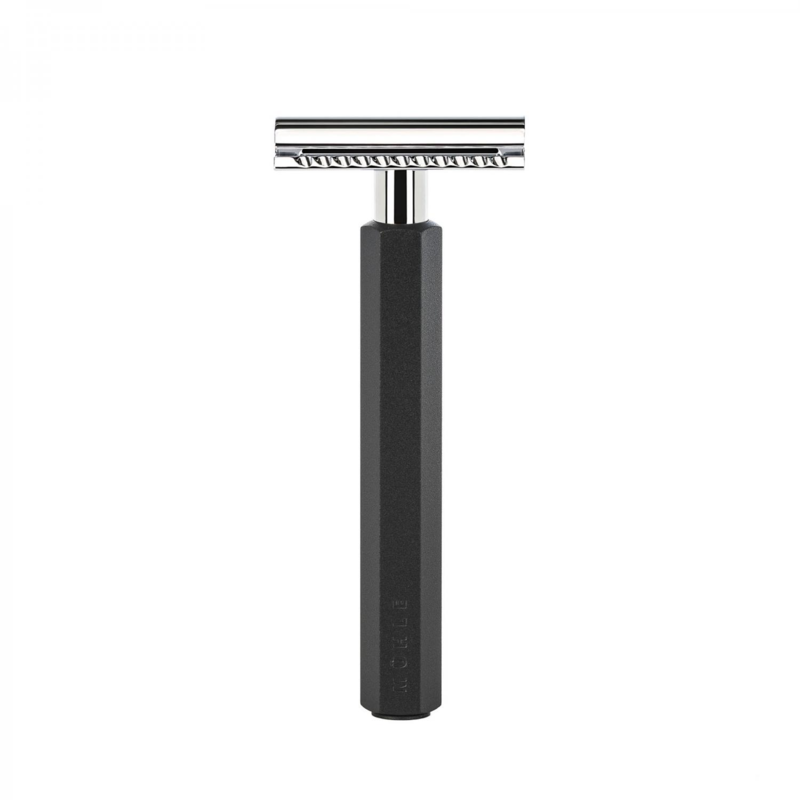 The head style Is a middle aggressive this would make a great everyday razor also an excellent beginners razor. It’s a good all rounder like a thoroughbred gelding. We have a great deal of quality shaving Information on our amazing blog. Also why not give us a call. At Edward’s we are a personal company we look after repeat customers and we offer our free expert advice to all who are Interested. Free UK delivery on this lovely piece, which comes In a rather elegant silk lined box. The presentation Is Just special, you will pass this on to your Grandson. Shaving helps you become a new man every morning, we think this is a healthy process. 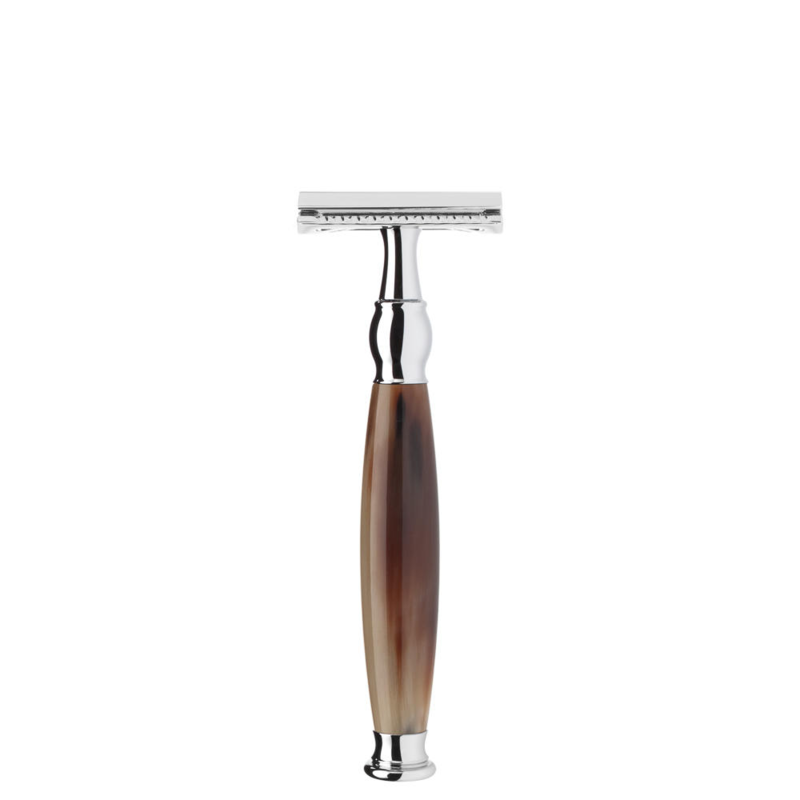 Choosing a safety razor is sometimes tricky, but the sophist is a very good choice. We have a great deal of information archived on our blog and we have started to branch out to other shaving blogs. Also we review other brands, why not have a look at our attached blog. Shaving technique is also important we have some really great stuff on that too. 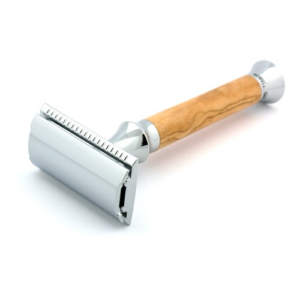 Don’t be afraid to call us either, we have guided many customers onto the right shaving path.